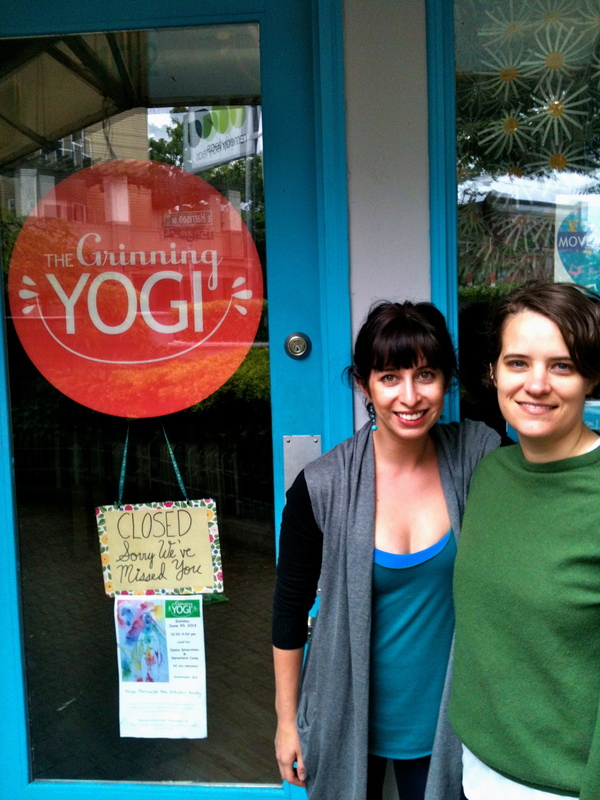 Sara and I just completed a mentorship program called the Grinning 20 at the Grinning Yogi yoga studio on 15th in Cap Hill. Jamie, the proprietor of the studio, signs students up for a 1 month unlimited pass and pairs them with an instructor to guide them through the practice. The goal is to complete 20 yoga classes in 30 days – and learn more about yourself and your practice. Jamie mentored us for the last month as we prepare for the hike – teaching us simple forms we can lead each other through and working on our own physical problems. For me this means performing balancing exercises to try and strengthen my broken foot, for Sara it’s transitioning from a full time desk job to a more active lifestyle – which means intense IT band stretching. 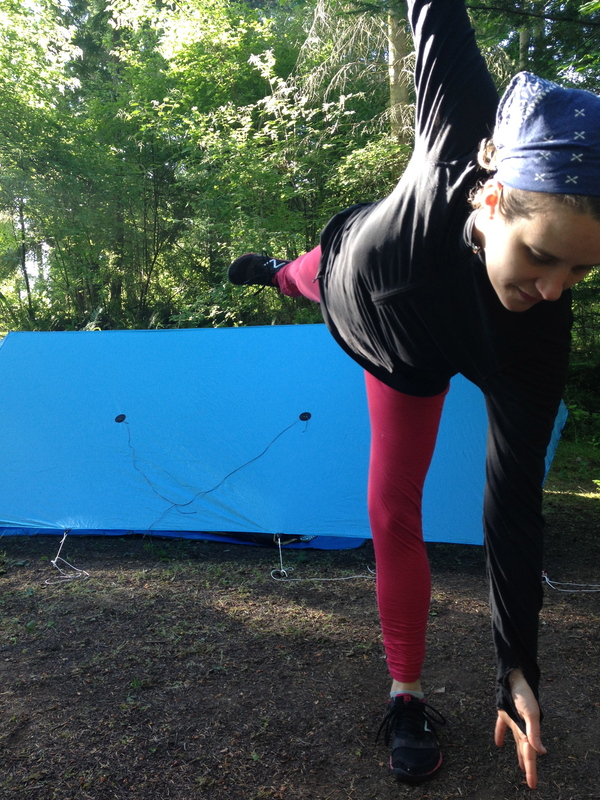 Sara catches a half moon in camp during a recent gear test trip. The experience has been great! Jamie is super thoughtful about making sure we are mentally prepared, as well as physically able, to embark on this journey together. And as people who only started practicing yoga 8 months ago, she has made our transition into yoga fanatics a fantastic journey. This entry was posted in Uncategorized and tagged Appalachian Trail, ATprep, grinning yogi, SongsoutoftheCity, yoga on June 26, 2013 by GROUCHO.